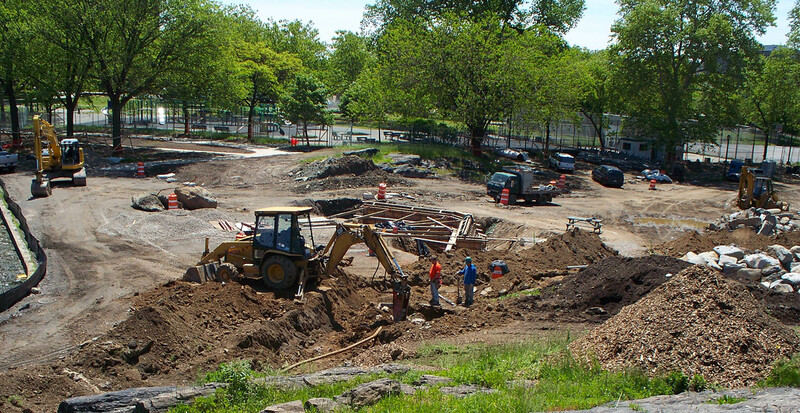 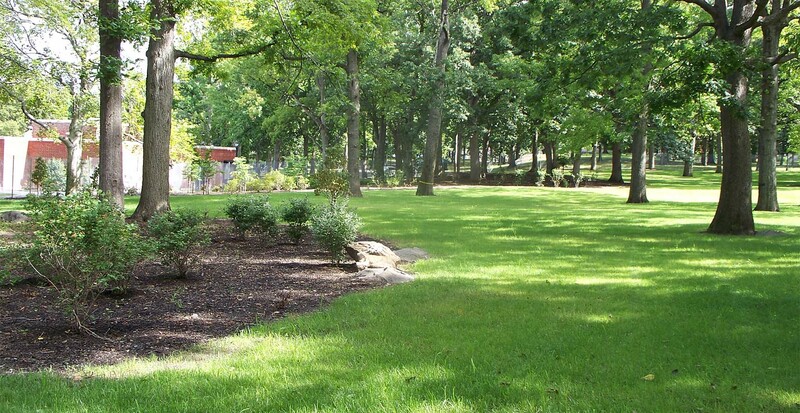 Over the past ten years the New York City Department of Parks has been working on restoring Crotona Park to its former beauty. 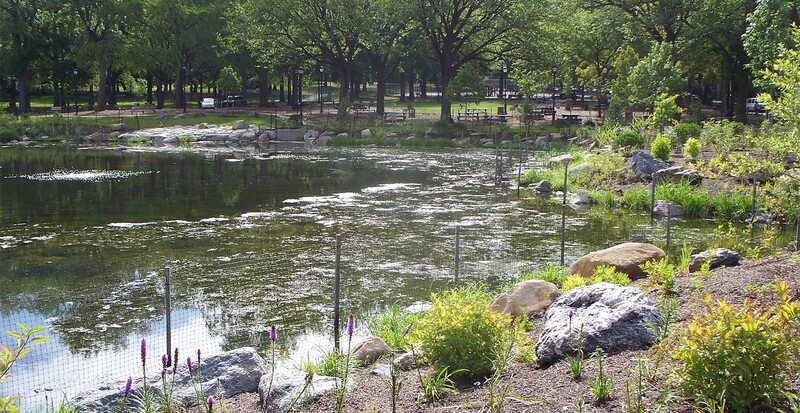 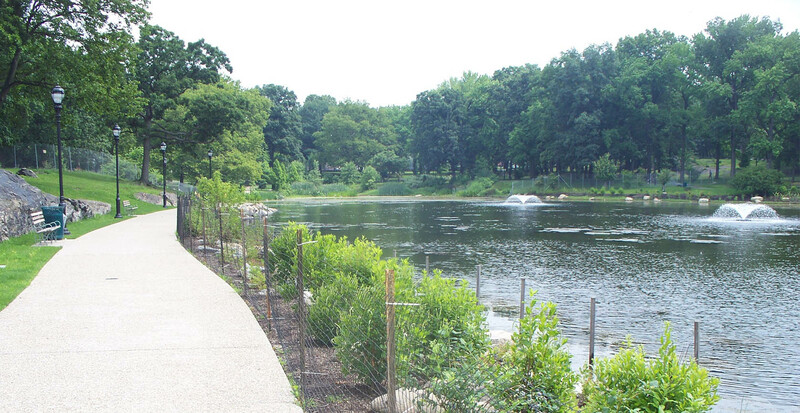 As part of the project, GBI was contracted to restore the 3.3 acre Indian Lake. 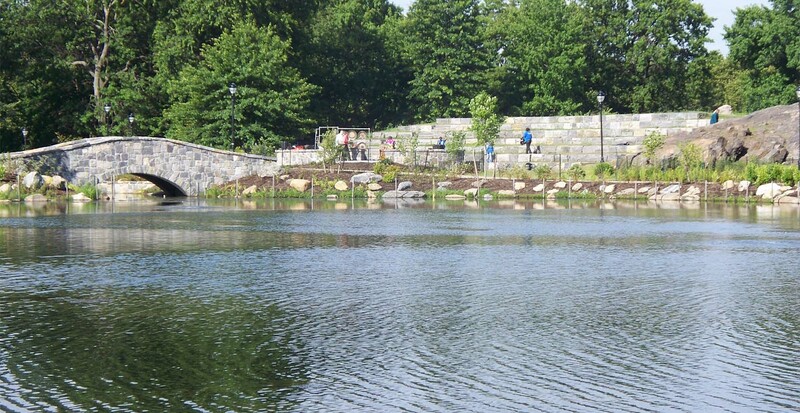 The concrete wall around the lake was replaced with a natural shoreline. 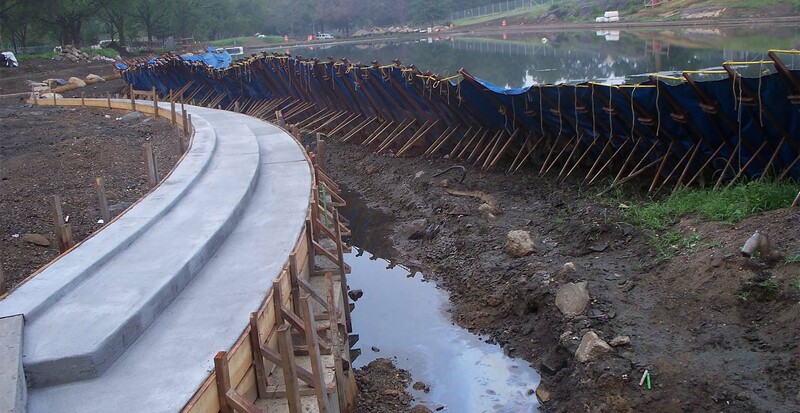 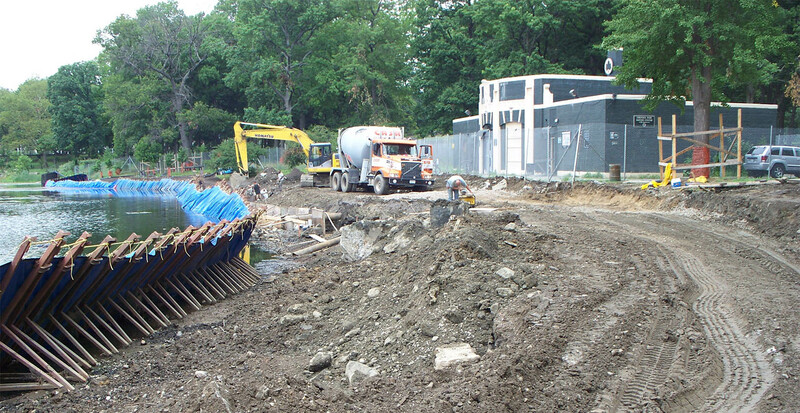 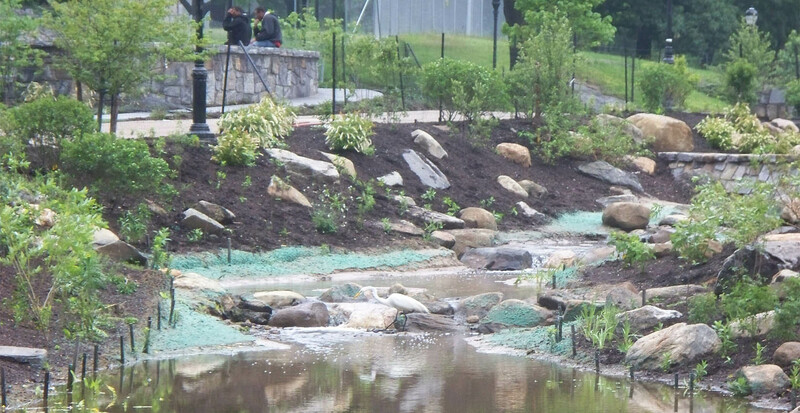 A new natural stone weir was constructed as well as a new stream bed connecting the lake to overflow structures. 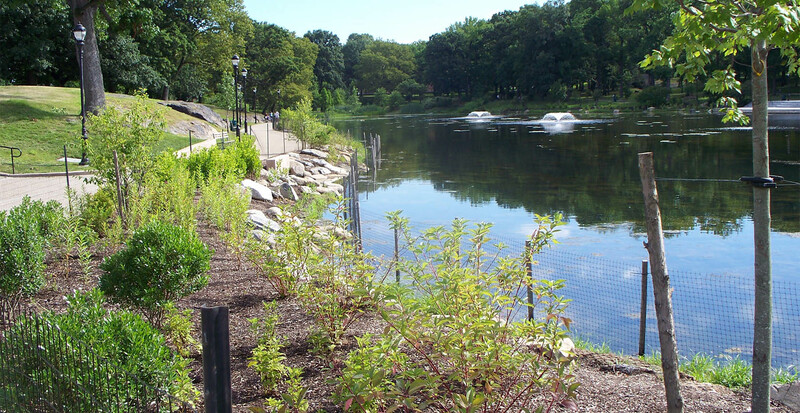 GBI then planted various types of flora and fauna, native to the area, to prevent soil erosion and ensure that the lake has a stable, healthy ecosystem. 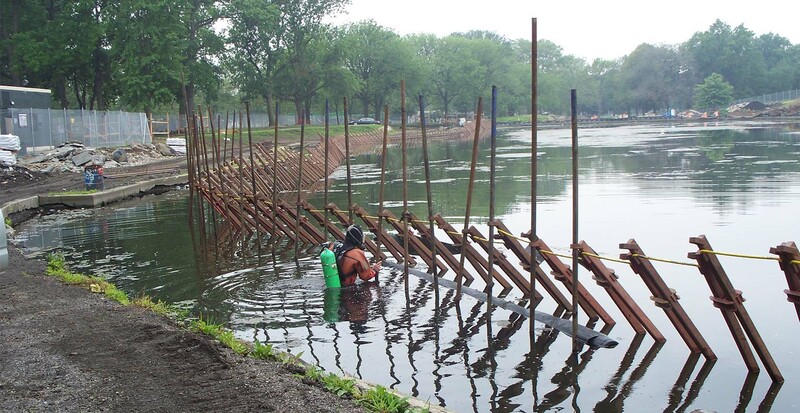 To further promote the development of the lake’s ecosystem, an underwater aeration system was installed. 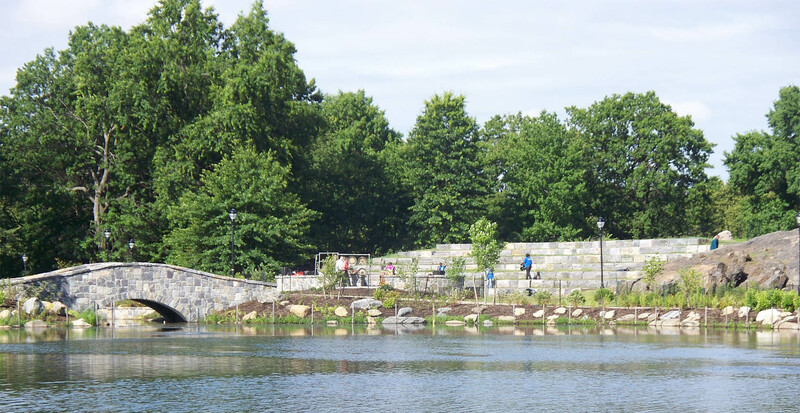 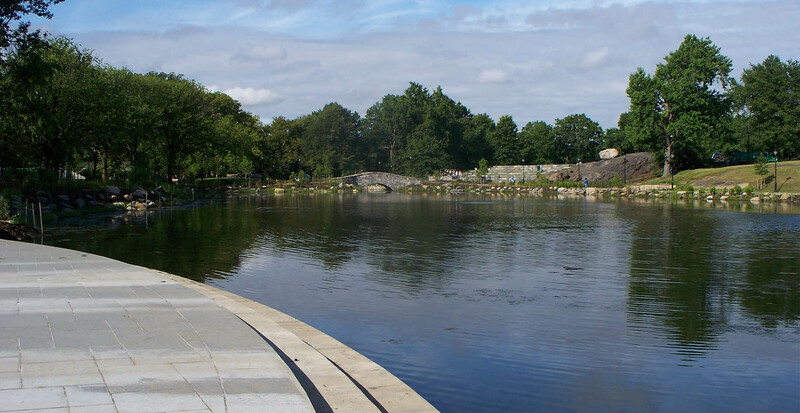 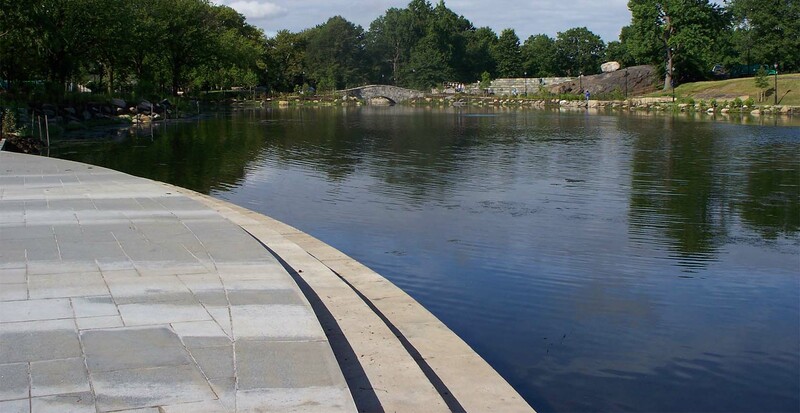 GBI constructed a new stone bridge over the stream to connect public pathways, as well as a new granite plaza in front of the boathouse adjacent to the lake. 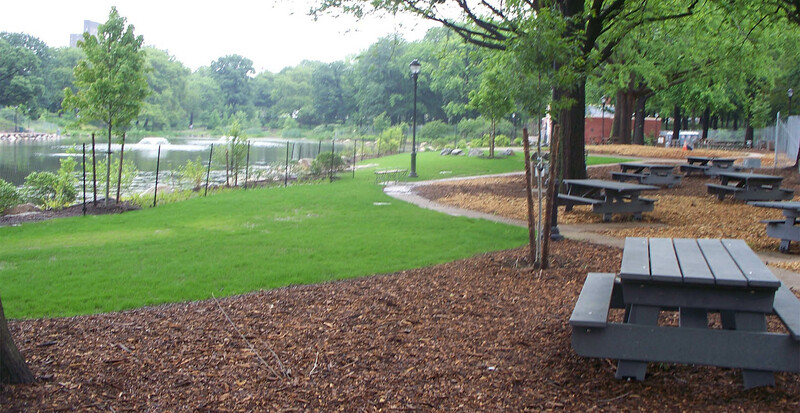 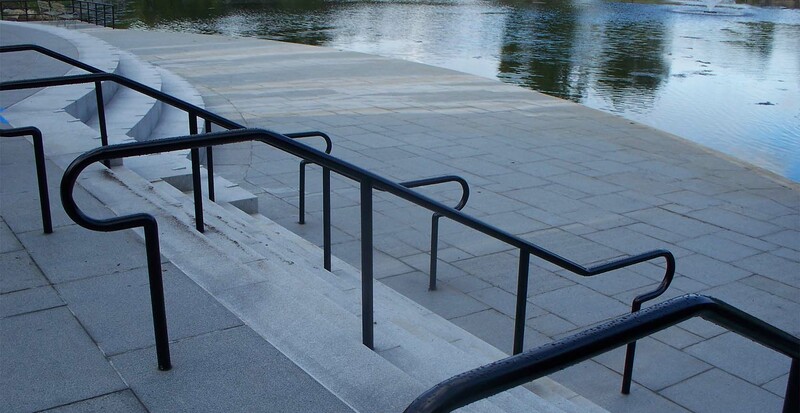 They also installed new walkways, benches, picnic tables and landscaping.